I did my OSCP certification back in 2013 and wanted to share my experience with that cert along with some industry trends that I am observing. 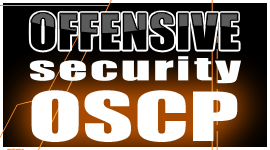 OSCP or Offensive Security Certified Professional is an awesome certification which pushes the cert challengers to think out of the box and align their concepts in real world applications. The most enjoyable part of my 29-day journey of OSCP was their labs. Their labs are designed in a way that will help your brain to run in the direction of a professional penetration tester. The machines in the lab are of various flavours/configs/architecture. Window.opener can sometimes act nasty to launch XSS attacks. There is an interesting XSS filter bypass which I found during Mario Heiderich’s training at NullCon, Goa 2015.